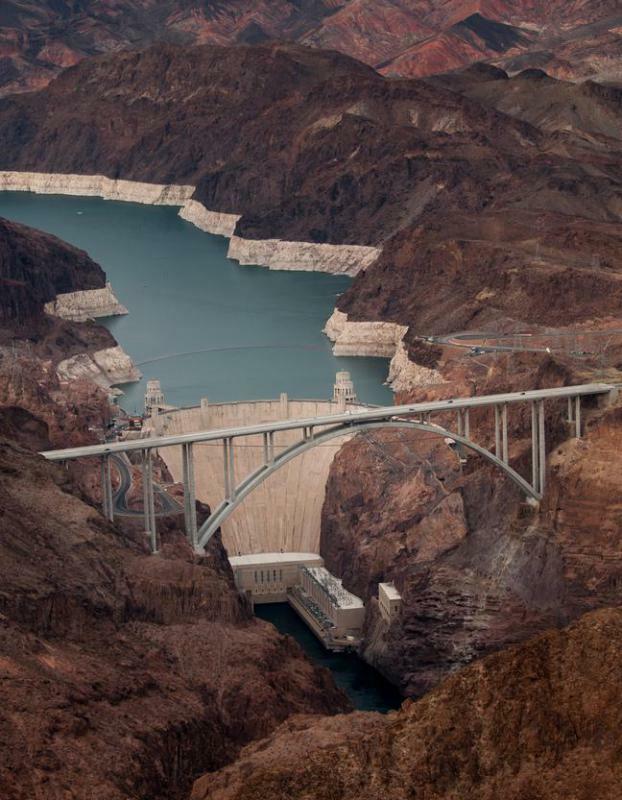 Hydroelectric power generating stations like the Hoover Dam provide sustainable energy. 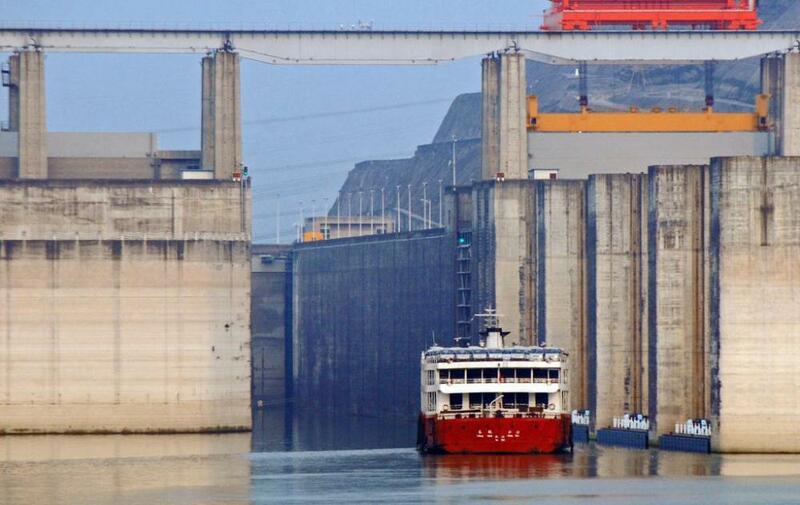 A ship going through a lock at the Three Gorges Dam, the world's largest hydroelectric dam, a source of sustainable energy. 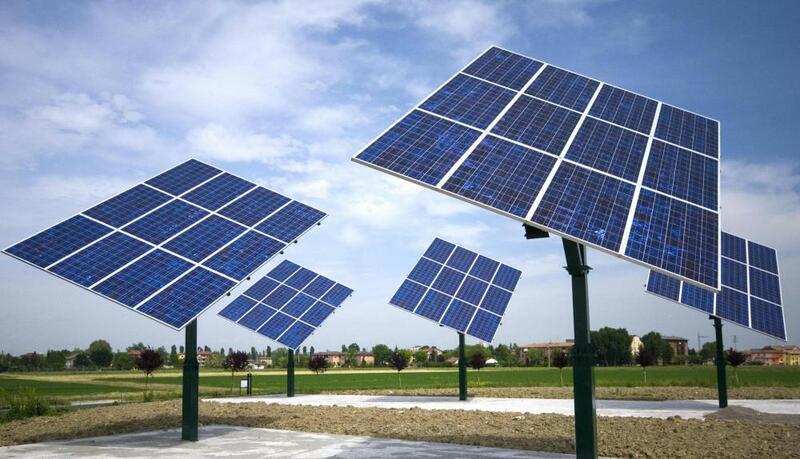 Solar panels can generate clean, sustainable energy. There are many different sustainable energy technologies that are either in use now or being developed for use in the near future. These technologies make it possible for people to fulfill their needs for energy without depleting resources from the planet, making it difficult or impossible to fulfill future energy needs. Some of the first sustainable energy technologies were hydroelectric dams and geothermal plants. Wind power and solar power are commonly used in the 21st century. Scientists are also working both to improve these older technologies and to develop ways to collect energy from ocean waves and tides and from plant matter in the form of biofuel. One of the first types of sustainable energy technologies invented was the hydroelectric power plant. The first of these plants were constructed in the 1800s at strategic places along rivers. They collect energy by damming water into an elevated reservoir area and then allowing it to fall through a series of turbines to the lower, quickly moving section of the river. Hydroelectric plants are long-lasting, and a number of them have remained in use for over 100 years. Geothermal plants, which have been in use since the middle of the 20th century, use heat that is escaping from the planet’s core to generate power. Though they have the capacity to produce a great deal of energy, these plants must be built in areas where there is a great deal of geothermic activity. Countries that do not have volcanically active regions cannot make use of geothermal power. 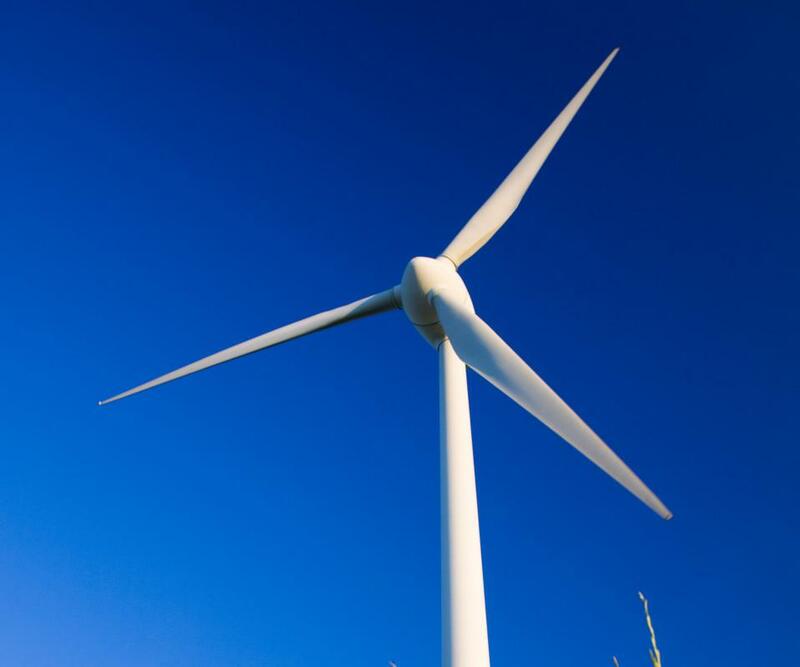 More recently, wind and solar farms have been used as sustainable energy technologies. Wind power can be collected through the use of large windmills that are connected to turbines. Solar panels can be used singly or in arrays and generate energy from the radiation from the sun, collected by photosensitive surfaces. Both of these technologies can be used by large power plants or by individuals who want to power a single building. Scientists have also been working on a number of new sustainable energy technologies to collect energy from other parts of the planet, especially from the oceans. 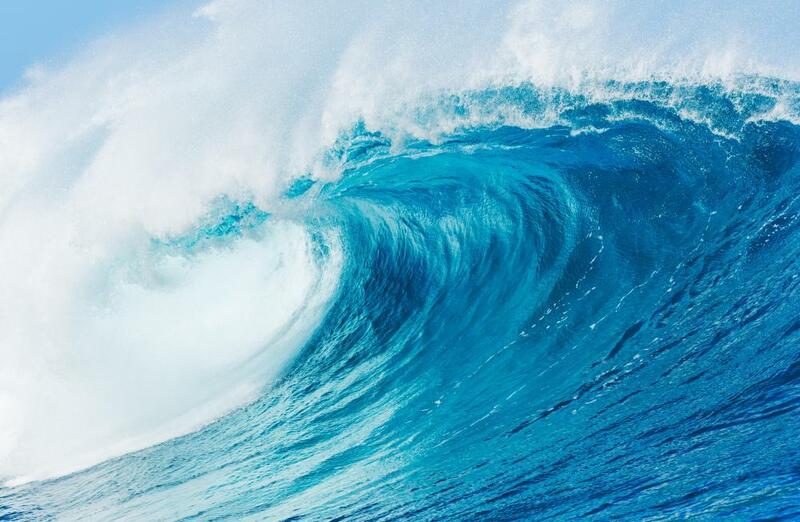 In the past, generating energy from ocean waves or tides was impractical because the power of the water and its salinity caused energy collecting devices to break down quickly. With the advent of stronger materials, scientists look towards the oceans as a future sustainable energy technology. Biofuels made from crop waste products or specialized fuel crops are also being developed to replace fossil fuels. What Is Wave Energy Technology? The only sustainable energy is nuclear. Unless hydrocarbons are abiotic, the rest are wannabes or limited. The only thing about renewables is the constant stream of people whole believe in it without fact checking.